A recent New York stage production required outfitting a dozen actors with authentically styled police batons. In addition to looking just like the real thing, some batons were required to be stunt-ready props. Actors playing police were frequently thrown across stage during brawls with other actors playing gang members. It was important that the props be both flexible enough to be safe yet durable enough to resist the nightly abuse on stage. 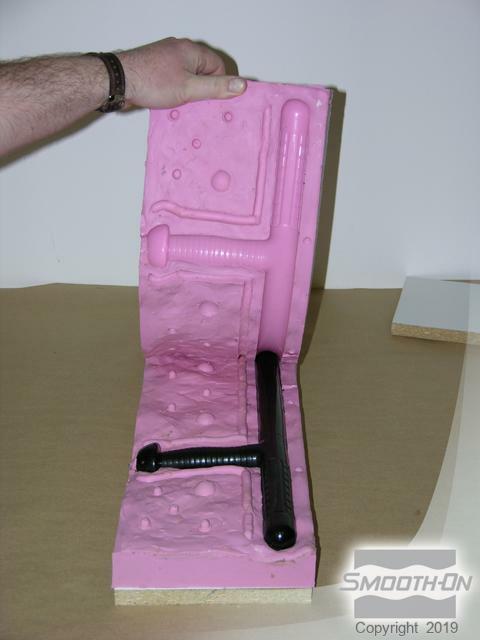 Smooth-On's TASK® 13 semi-rigid resin made for the perfect choice. 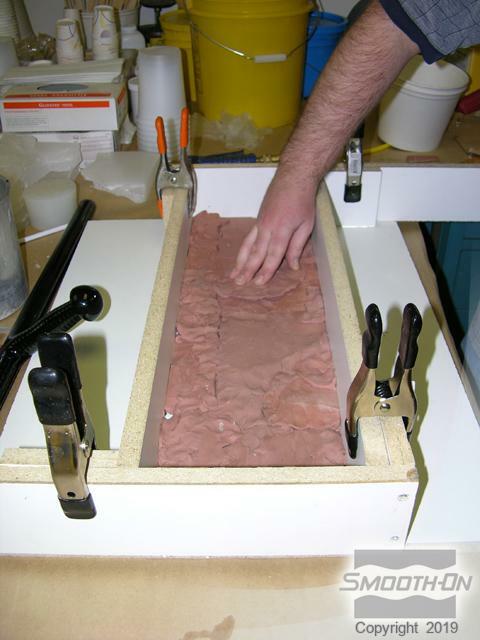 Begin by building a containment box to accommodate the original model. 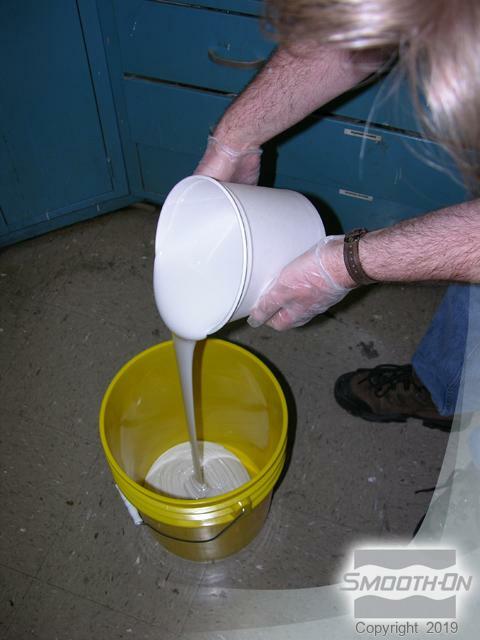 Spread a 1/2'' bed of non-sulfur clay along the bottom of the box and then place the original into the box. Build clay around the original until one half of the piece is embedded. 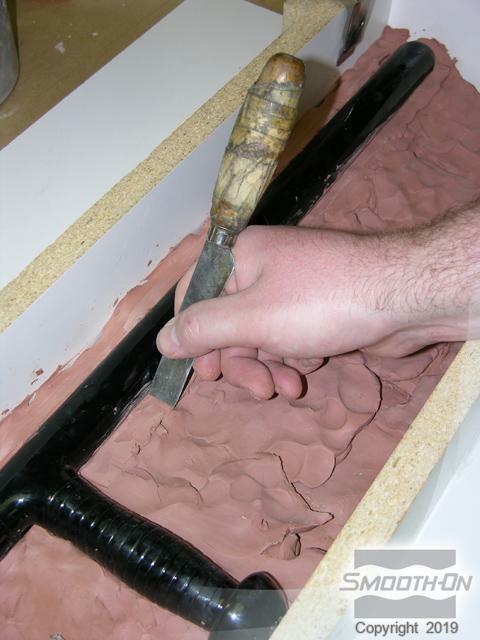 Use clay sculpting tools to cut registration keys into the clay bed. Add additional keys. 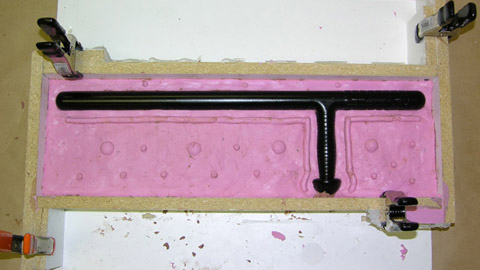 Keys help the two-part mold stay properly aligned from cast to cast. 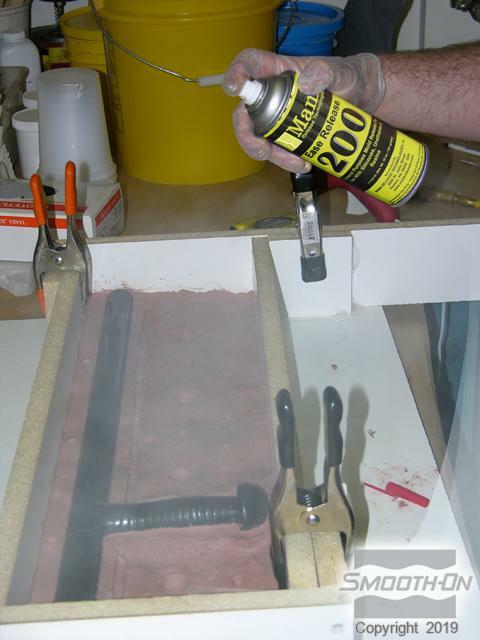 Spray Ease Release® 200 over all surfaces where rubber will be poured. 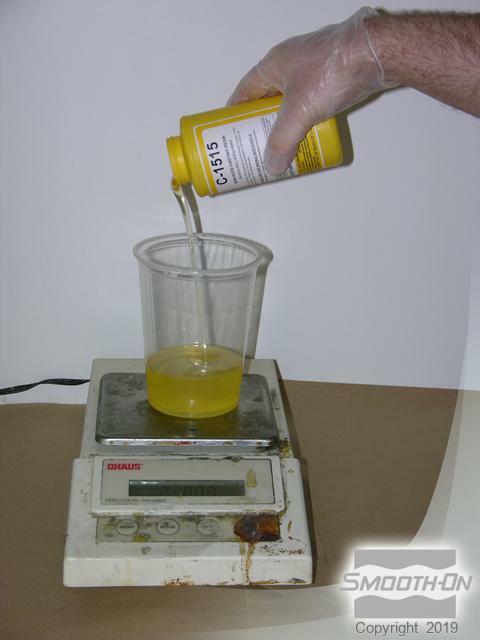 Next, weigh out Mold Max® 30 Part A and Part B. 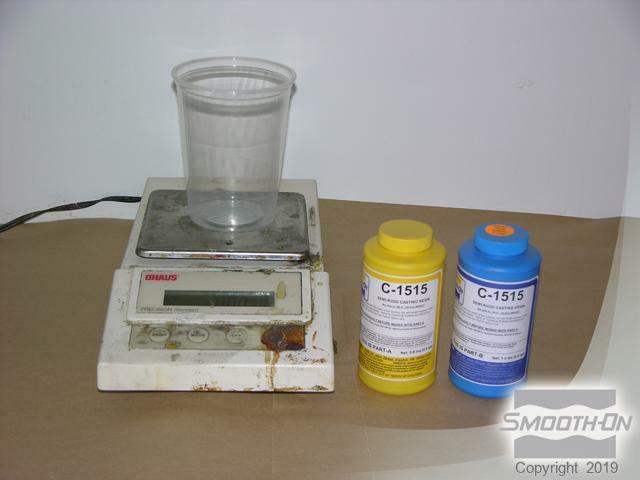 The appropriate mix ratio is 100 Parts A to 10 Parts B by weight. 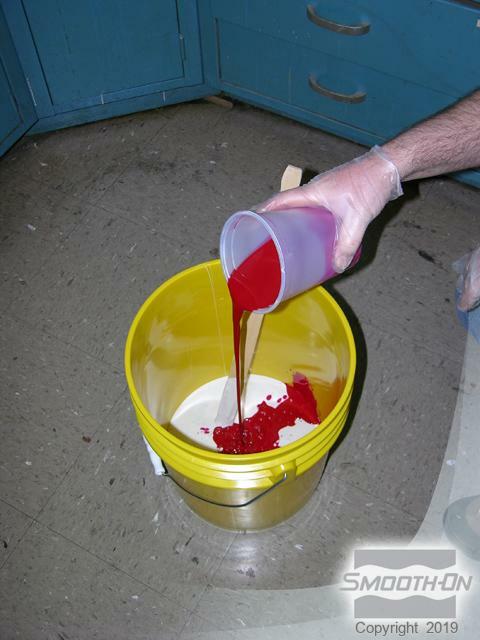 Dispense Part A into mixing bucket and then add Part B. 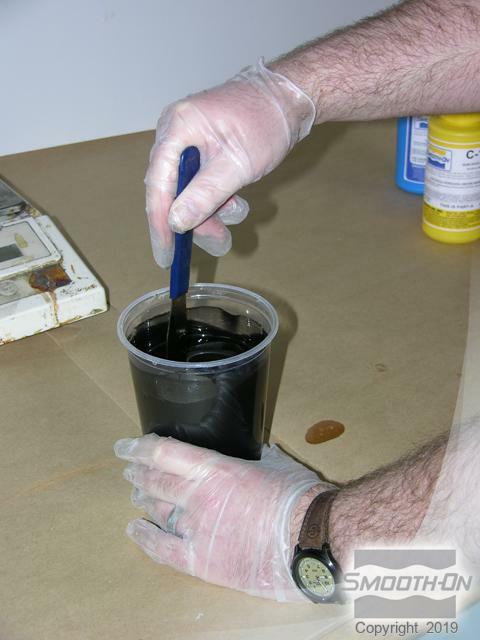 Thoroughly mix material until there are no color striations in the rubber. 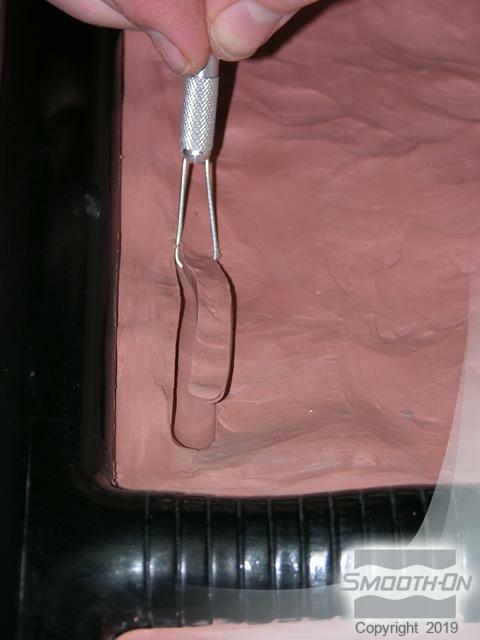 Vacuum degassing minimizes bubble entrapment in thick silicone rubber. 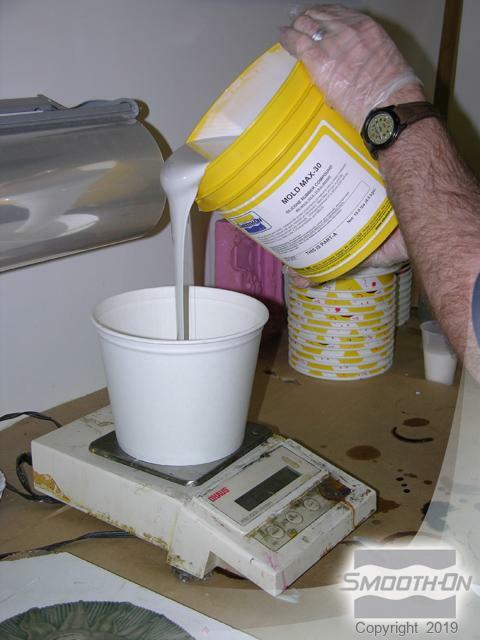 Pour Mold Max® 30 in a long, thin stream over the original. 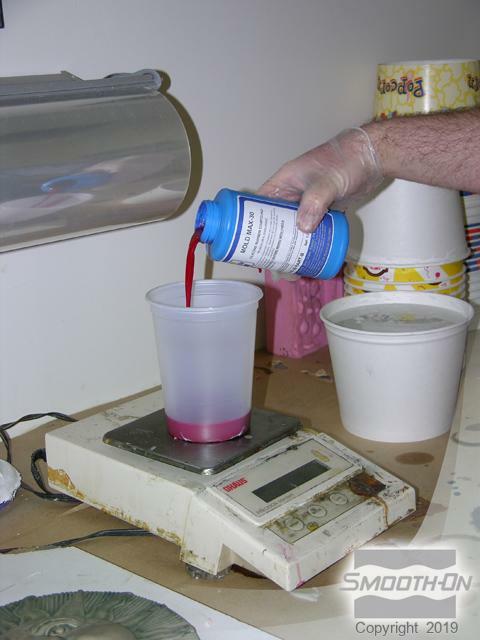 Continue pouring until the highest point of original is covered with at least 1/2'' of silicone. 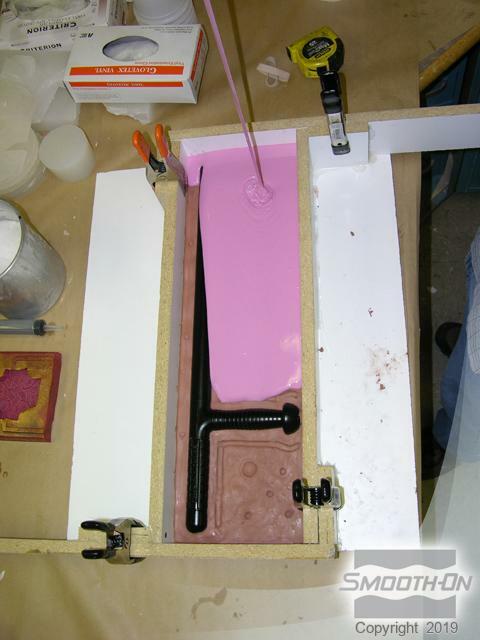 Once the rubber has fully cured, remove the clay and place the block back in the box. Do not remove the original! Spray Ease Release® 200 over the entire surface. 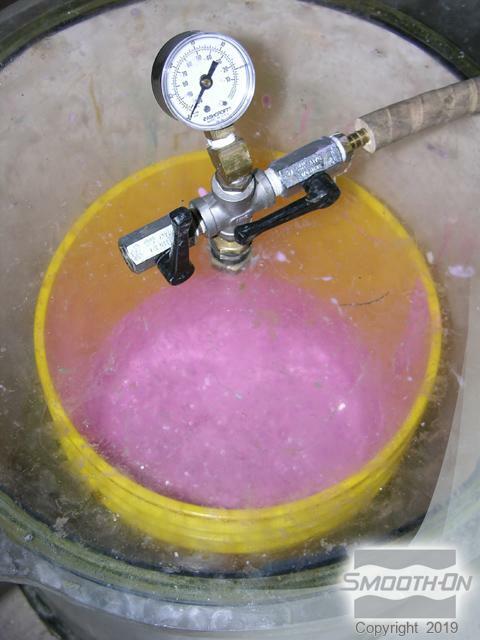 This will allow the silicone to separate from itself. 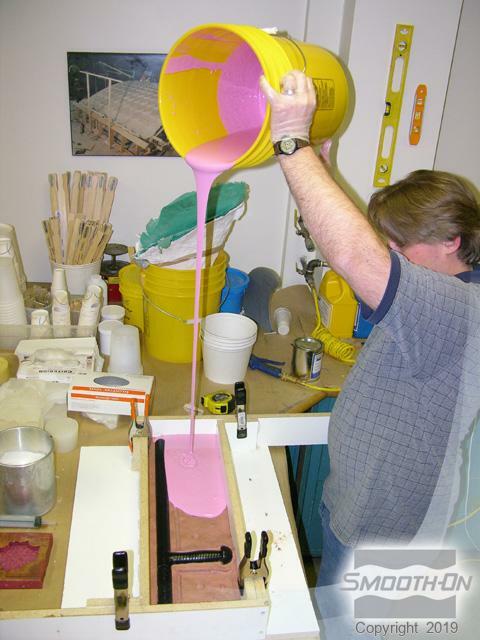 Mix and pour a new batch of rubber. 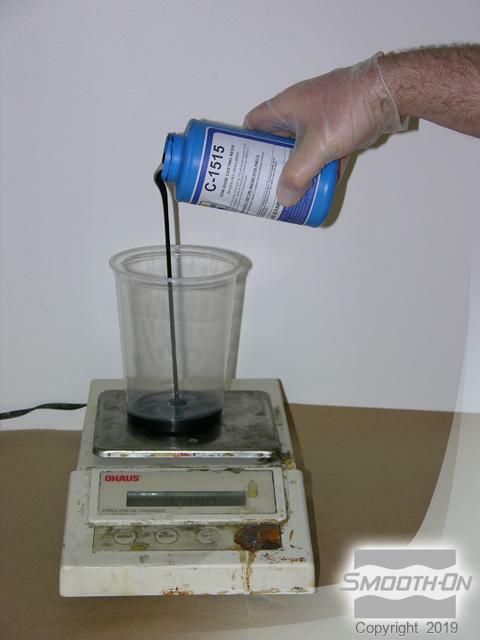 The highest point of original should be covered with at least 1/2'' of silicone. 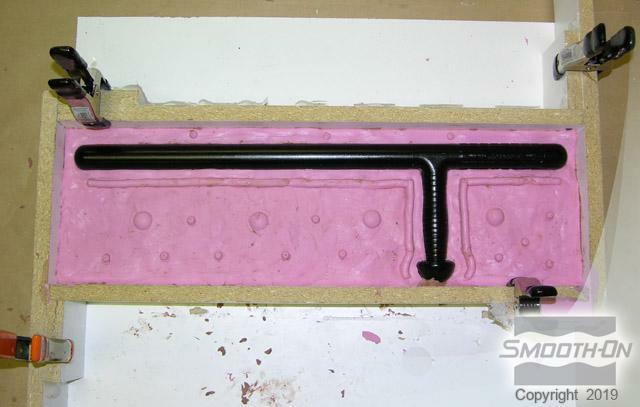 Once the rubber has fully cured, remove the original model from the mold. 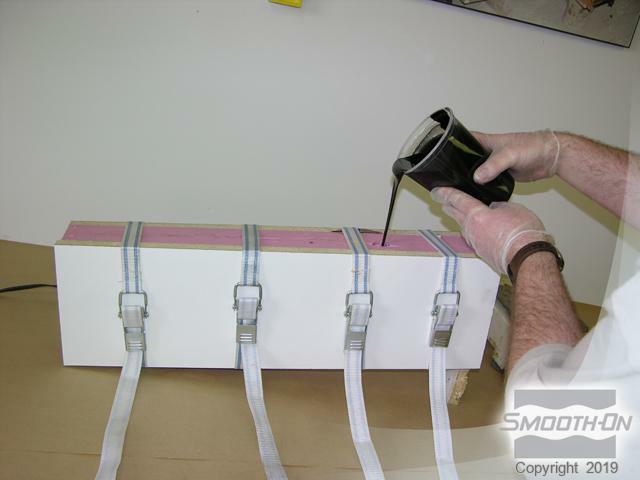 Use adjustable straps to clamp the mold together. 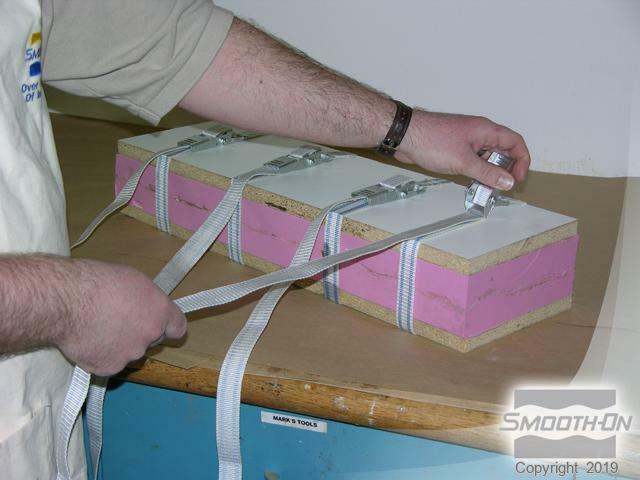 Wooden boards prevent the straps from deforming the rubber. 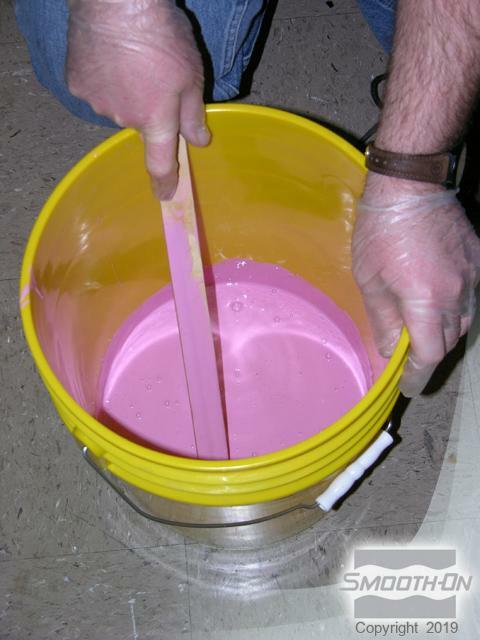 TASK® 13 is a semi rigid urethane resin that is mixed 100 Parts A to 120 Parts B. Weigh out Part A and Part B. Then combine Parts A and B and mix thoroughly. 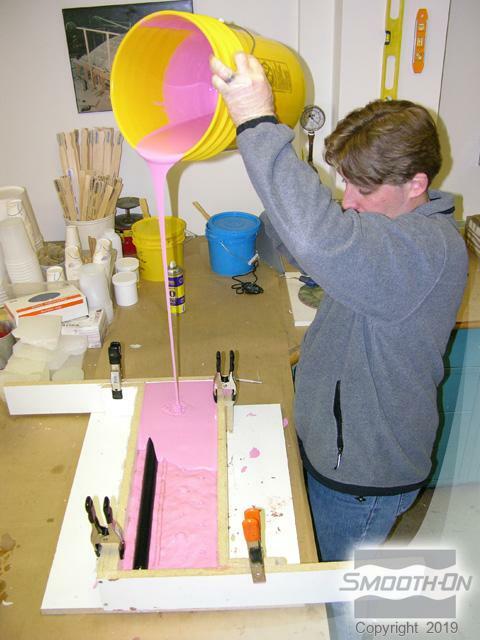 Pour TASK® 13 into the Mold Max 30 mold. 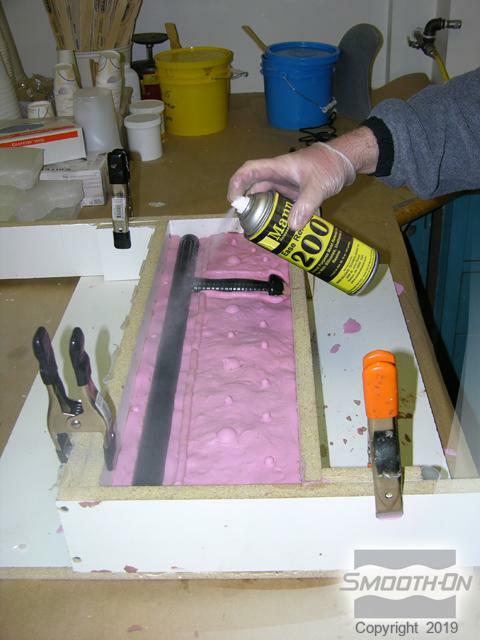 Once the resin has fully cured the mold can be peeled away from the reproduction. 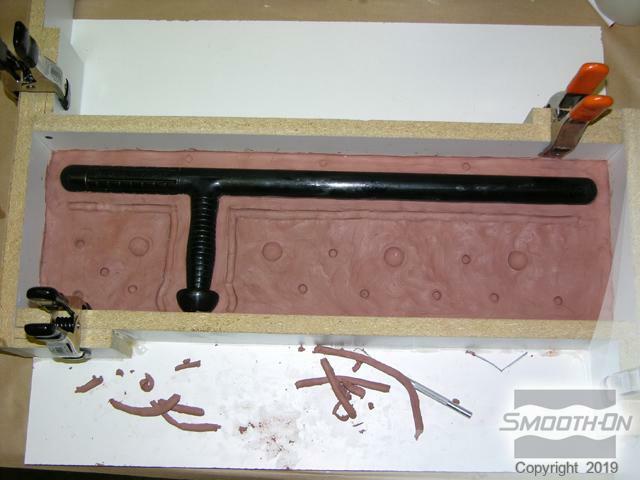 The finished casting is flexible and much safer for stage than the solid wood original.